With their unique take on "Country influenced Rock Music" Rye Road is quickly gaining their place in the Independent music industry as a band that is passionate about music and true to their origins. Once a childhood dream of its original members it is now a reality to them and their adoring fans. The band describes its sound and feel as "Wanted Dead or Alive" meets "Sweet Home Alabama" and resembles Texas' Red Dirt Country if you had to fit them into any category. 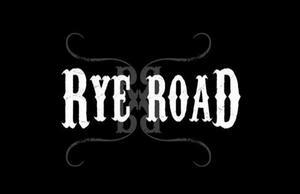 Rye Road believes in crossing barriers and moving mountains in the music industry. With musical influences ranging from Lynyrd Skynyrd to Bon Jovi, Rye Road is determined to continue being successful and being true to their roots which has led to their rapid rise on the Florida Country and Pop music charts.